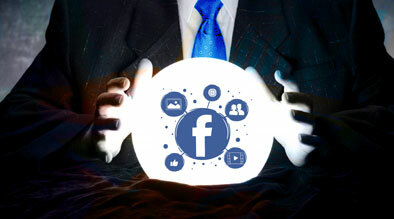 The start of 2011 brought hundreds (if not thousands) of blog posts with predictions of where the world of social media is heading. The Social Media Examiner took a great approach and interviewed 30 social media professionals, having each of them give their top prediction for 2011. Tools to help curate the noise online will become a hot commodity. It is now up to everyone to live up to these predictions. As users begin to demand more from their social interactions with corporations, corporate accounts must work harder to convey a clear, targeted, and human voice. It is not enough just to be on social media, a company must provide value to the user to encourage engagement and loyalty. Marketers will have more tools to stimulate conversation. Tools in demand will focus on ideas and technology that can drive new engagement. QR code is a great example. More companies will invest in social media. Adding to the success of their paid search campaigns, more companies will turn to Social Media and demand measurable ROI. Social media will become mainstream. It will no longer be referred to as the “new” media; just a given. Quora will leave beta and become a serious player in social networking. Question-and-answer medium is the “shiny” hot topic among new social channels. Quora.com is a forward thinking player, making a name for itself. People will demand more from social media. As demand for quality rises, self-proclaimed gurus will fade away and demand for true innovators will continue to increase. Social media will no longer be something the “cool kids” are doing. Enough data exists to prove social media and mobile marketing are not fads and really do work. Facebook will become a real ecommerce platform – Facebook will take on PayPal in payment processing, providing a full shopping experience from search to ship. Social communication skills will get better. People are becoming more comfortable with online communication and realizing that communications are person to person, not person to machine. Social media will expand through creativity, diversification and content. Corporations will explore content creation platforms such as Tumblr – a new blogging format being explored by news, fashion, travel and other industries. Internet noise will reach rock-concert levels. Emerging markets such as Africa, Middle East, South America, etc. will double internet traffic by end of 2011. Social media will become targetable. Businesses will be able to segment social communication to target potential customers with very specific interests. Social media will become more cross-functional and no longer just an external product ran by the PR/marketing departments. Businesses will have active users in all departments within the company. Small businesses will stand a better chance of competing with the bigger names. Data collection will spark privacy debates, raising concerns about profile security. There will be a shakeout in second-tier social media platforms. Facebook, Twitter, LinkedIn, etc. will force the little guys out. 2011 will be the breakout year for social search. Marketers will target more, publishing relevant content and less noise. Content marketing will drive social media forward. Pushing original content instead of sales pitches to gain traffic and customers. Social media will have an ever-larger impact on search engine rankings. “Likes” etc influence organic rankings making quality content more important. Curation tools will become the primary way people use social media. The noise online is growing, which opens opportunities for tools to help consumers cut through the noise and find what they need. eBuzz Connect is an example of such tool currently available for the Hospitality Industry. 2011 will be a year of listening, courage and enabling. Brands will recognize the importance of listening before engaging, which will then lead to more corporations giving employees freedom to socialize on their behalf. Influence will be measured by follower and fan engagement. Number of active users is more important than number of users. Personal authenticity will become increasingly important. Reduction of outsourced social media leading to brands developing their own voice within the company. Brands will use more one-on-one communication on social media. Brands need to act like people and less like broadcasting infomercials. The social media industry will “reboot.” Brands will realize there is more to social media than the number of fans. Social media “gurus” will lose jobs and quality professionals will increase in demand. Expect to see more traction, innovation, and spending in group buying in 2011. Groupon will continue its growth. In 2011, we’ll see a further divide between Twitter and Facebook. Facebook will become about personal connections; Twitter about business. Social media marketers will get the value—and necessity—of relying on direct-response tactics. More focused tactics rather than casting a wide net -> increased ROI. Social media measurements will become visual. Less Excel measurement data and more PPT success stories. Deals, specials and discounts will flourish inside of Facebook pages. People become fans for deals. More deals = more viral spread = more fans = more business. More collaboration between social media players. Smaller guys (Foursquare & Gowalla) being absorbed by big players (Facebook Places). Facebook will welcome its one billionth member to massive worldwide fanfare. Already at over 500,000,000 users worldwide, and still growing.